Endurance training decreases resting and submaximal heart rate, while maximum heart rate may decrease slightly or remain unchanged after training. The effect of endurance training on various indices of heart rate variability remains inconclusive. This may be due to the use of inconsistent analysis methodologies and different training programmes that make it difficult to compare the results of various studies and thus reach a consensus on the specific training effects on heart rate variability. Heart rate recovery after exercise involves a coordinated interaction of parasympathetic re-activation and sympathetic withdrawal. It has been shown that a delayed heart rate recovery is a strong predictor of mortality. Conversely, endurance-trained athletes have an accelerated heart rate recovery after exercise. Since the autonomic nervous system is interlinked with many other physiological systems, the responsiveness of the autonomic nervous system in maintaining homeostasis may provide useful information about the functional adaptations of the body. 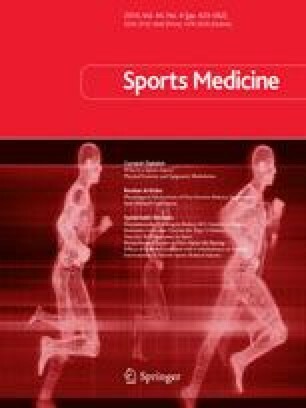 This review investigates the potential of using heart rate recovery as a measure of training-induced disturbances in autonomic control, which may provide useful information for training prescription. The research undertaken in this study is funded in part by the University of Cape Town, Discovery Health, National Research Foundation, Ernst & Ethel Eriksen Foundation and Deutscher Akademischer Austausch Dienst. The authors’ sources of funding do not conflict with the content of this article.